Private engagements on going, often not listed - details available upon request. 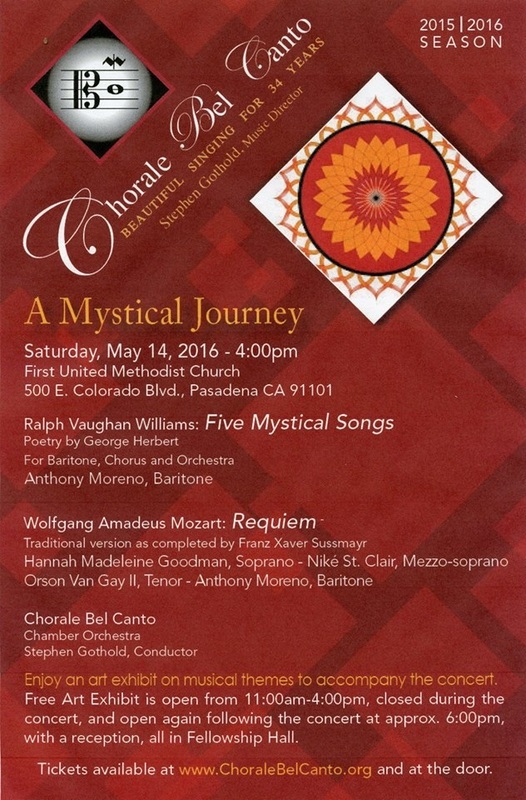 Concert Performance - Rio Hondo College - for more information please click the link in the calendar above. 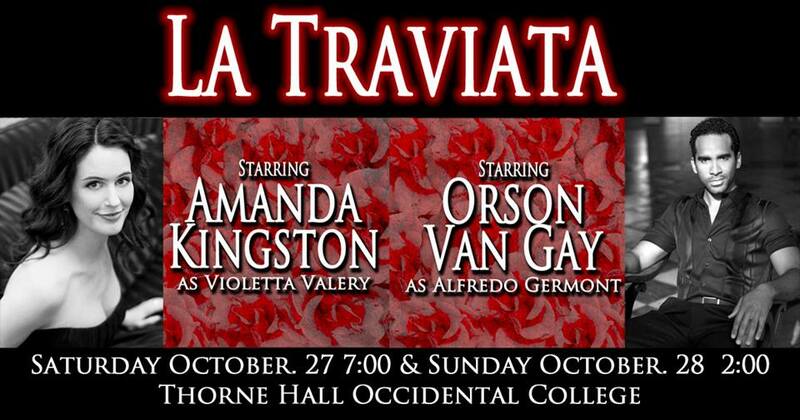 Tenor, Orson Van Gay II makes his inaugural debut as Alfredo with Pacific Opera Project in their exciting production of La Traviata. Celebrating the Leonard Bernstein Centennial with excerpts from his most adored and groundbreaking musical, West Side Story! To top it off, one of the greatest and most famous symphonic works of all time, Beethoven’s 9th! Not to be missed! 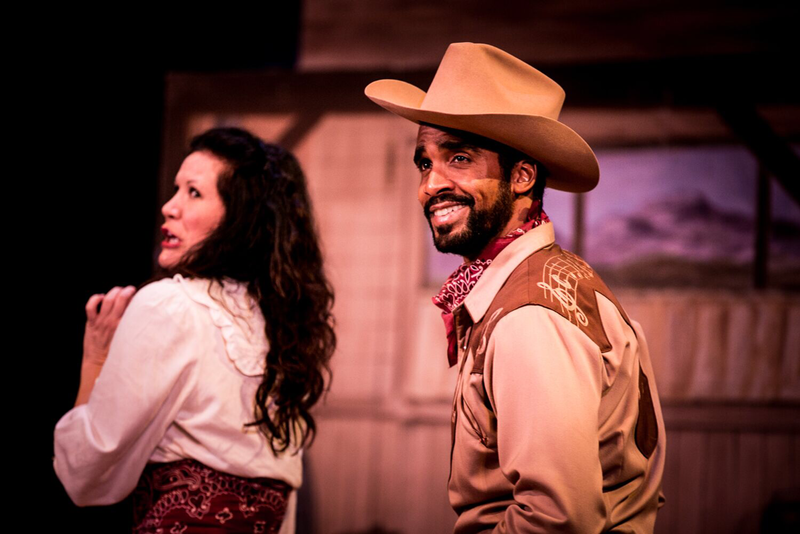 ​Tenor, Orson Van Gay II makes his title role debut in Bernstein’s Candide, a fully staged production with a professional orchestra at the state-of-the-art theatre “A Noise Within” Theatre. July 20th & 21st ONLY! SPECIAL EVENT - Blockbuster video game music with special guest conductors and performers at the Los Angeles Theatre. "An unforgettable evening of beloved Opera Arias and Duets..."
LA Opera invites the public to an Open House, which will take place at the Dorothy Chandler Pavilion from 10am to 6pm on Sunday, March 26, 2017. Angelenos of all ages—from seasoned opera fans to complete newcomers—are encouraged to experience the many different elements that come together to create the magic of opera. Several events are designed specifically for families with young children, and all events and activities are offered free of charge. The Dorothy Chandler Pavilion is located at 135 North Grand Avenue, Los Angeles CA 90012. 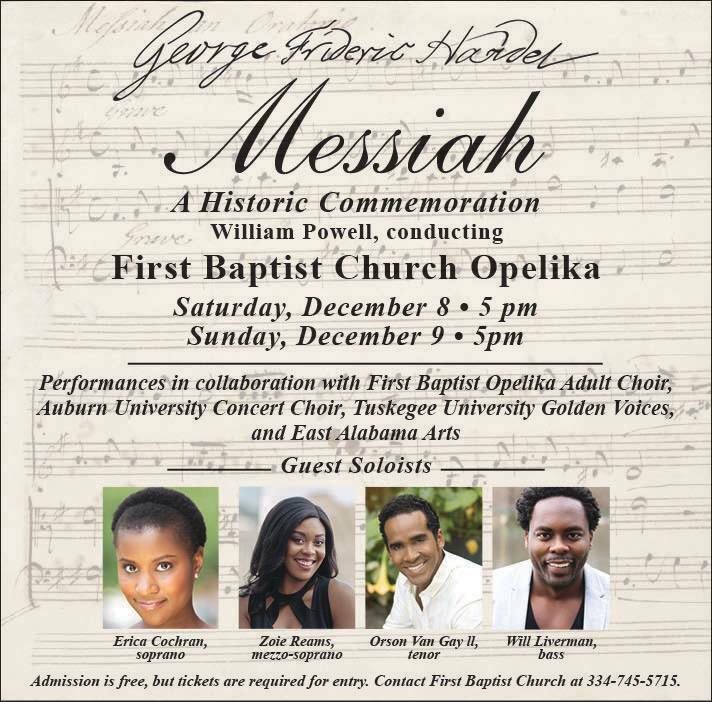 DECEMBER 14, 2016 | 6:30 P.M. - 8:00 P.M.
A Night of Arias and Duets! Tickets are not available, as this is a private event. Join us on October 1st at Taste of Italy 2016 for a fun evening of authentic Italian cuisine and live entertainment in the heart of Downtown Los Angeles! For additional production photos, please visit the Gallery page. Private engagement - no public performances scheduled. ﻿Please come and enjoy us sing September 26, 2014 at 7pm. Orson Van Gay II, Brooke de Rosa and Nani Schummers-Sinha will be singing arias & duets from some of the most beloved Italian operas. An lovely evening of wine, food and Verdi. What better way to kick off LA Opera's Season than with a prelude to "La Traviata?" Tunes Are Bustin' Out All Over! This Sunday, June 30, at Cucina BeneAmici Della Musica returns to Cucina Bene this Sunday, June 30, at 6pm, with June tunes to match the magnificent cuisine. Soprano Sashell Beck and tenor Orson Van Gay, fresh from their outstanding performances in The Elixir Of Love, will team up to bring you a tasty musical banquet, from Les Mis to La Boheme to The Beatles (and rumor has it we may have a special guest or two drop in to share some tunes as well). Your full-course meal includes appetizer, salad, dessert, coffee, tea, iced tea, soft drinks, and your choice of entrée: chicken marsala, seared white sea bass (topped with mushrooms, artichokes and olive oil in a wine sauce), or penne al funghi (penne pasta with mushrooms in a pink sauce), with all the trimmings, of course. 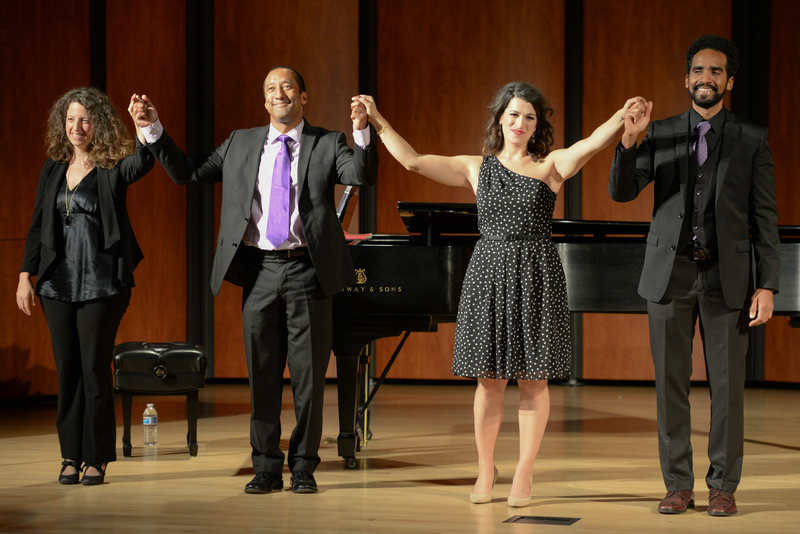 Copyright © 2013 Center Stage Opera, All rights reserved. You are receiving this announcement because you asked to receive communications from Center Stage Opera. 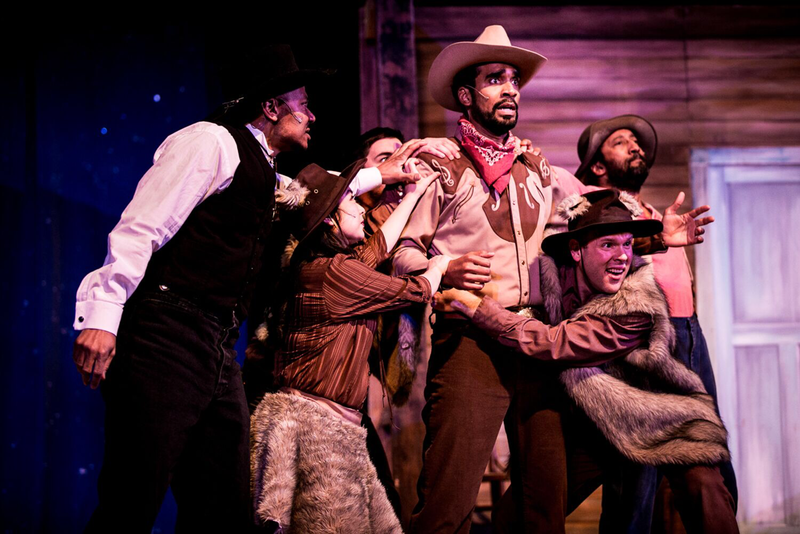 Make sure to add centerstageopera@yahoo.com to your address book so you continue to receive news & updates. Expanded Artists Line-up May 5! Our May 5, all-request Amici Della Musica at Angelo's Ristorante features a new, expanded line-up of gifted artists. Shira Renee Thomas will now be joined by sopranoSashell Beck, who delighted opera-goers in CSO's recent production of The Impresario, and has been a favorite at past Amici dinner-and-song nights. Joining Shira and Sashell will be tenor Orson Van Gay, making his CSO debut. An accomplished and versatile singer and actor, Orson has appeared in La Traviata, Norma, Tristan and Isolde, Turandot, and Rigoletto, among many other operas. Orson has appeared as an actor on television as well. Virginia Opera Musical Director Joe Walsh praised Orson's "hybrid" voice, capable of performing opera and other musical genres with equal artistry and impact. Finally, we are delighted to welcome special guest artist Adam del Monte to our May 5 evening. An internationally acclaimed classical and Flamenco guitarist, Adam has performed with major orchestras, and in recital, at The Dorothy Chandler Pavilion, Disney Hall and The Hollywood Bowl, among other US venues, as well as in Spain, Venezuela, Russia and Israel. Praised by Flamenco greats Enrique Morente and Pepe Habichuela as “a master guitarist” of “great sensitivity and imagination”, Adam is also a noted composer, and a faculty member at the USC Thornton School of Music. Reservations and song requests have been pouring in, but a limited number of seats are still available. The entire evening is still just $49, including full-course dinner, entertainment, tax and tip (wine and soft drinks available at additional cost). 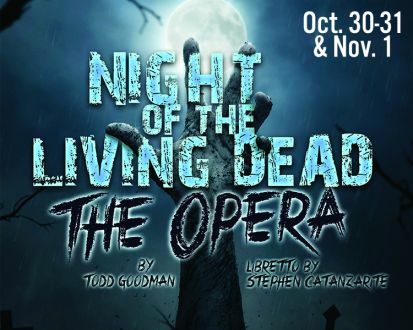 Reservations are required, so go to www.centerstageopera, or call 818-517-4102, and reserve your seats today!